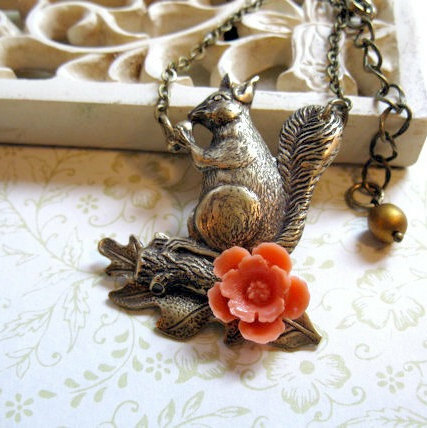 This adorable squirrel necklace features a playful brass squirrel, adorned with a sweet little orange flower cabochon, all sitting atop a brass oak leaf. 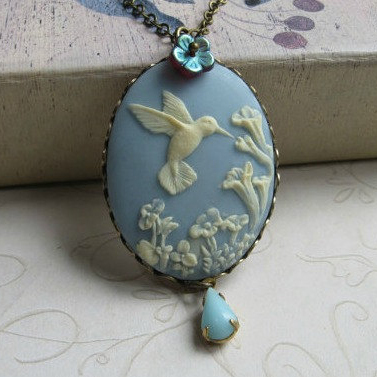 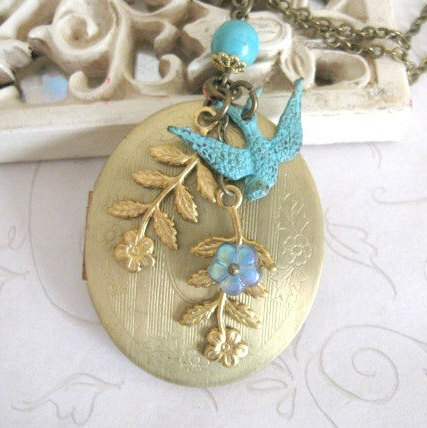 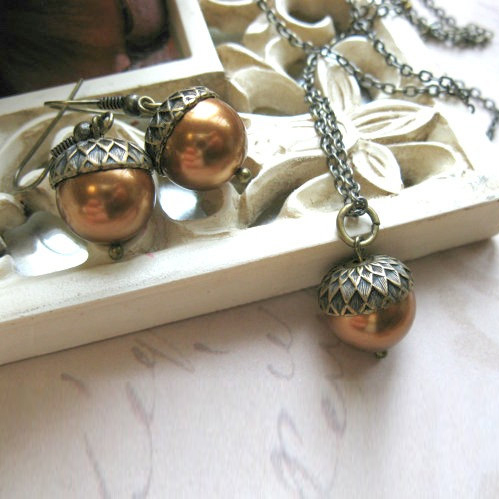 This necklace comes on a nice quality brass chain and is closed with a sturdy brass clasp. 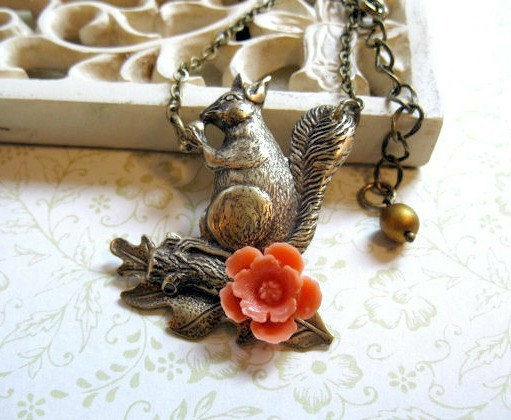 You may also order this necklace without the orange flower, please choose from the drop down menu.